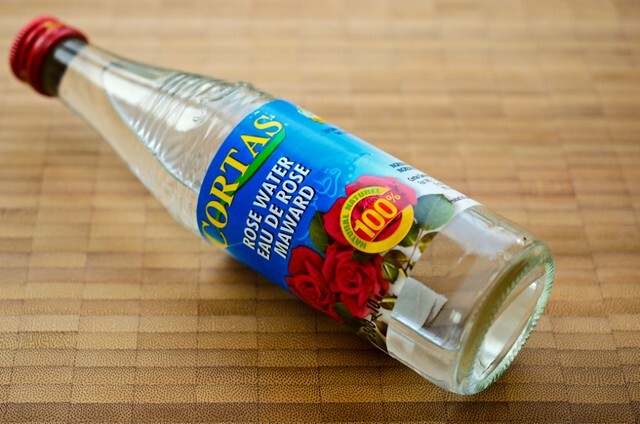 What better way is there to kick off our #LEARNABOUT section than by exploring rosewater, after which this blog is named! 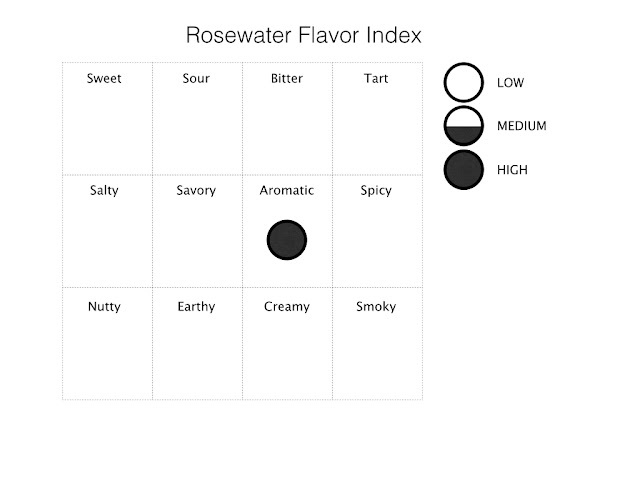 Rosewater (as you may have guessed from its name) is simply just rose + water. You may have heard it being referred to as hydrosol. It really has no taste -- it's not sweet, sour, bitter, or tart. What makes this item so special, then? Nothing tastewise, really. However, imagine yourself walking through a sunken rose garden in the summertime, feeling the warmth of the midday sun and a light breeze, inhaling the fragrance of all the roses surrounding you. This is the sensation you'll get when you open a bottle of rosewater or if you bake with it. Why does rosewater smell so good? The smell of roses comes from a series of small, naturally occurring alcohol/monoterpenoid molecules like geraniol, citronellol, phenylethyl alcohol, nerol, and linalool. When combined, they are called rose oil, or rose essential oil. (Though, it should really be called rose essential alcohol because it is soluble in water). These oils are also used in the perfume industry to create rose fragrances. 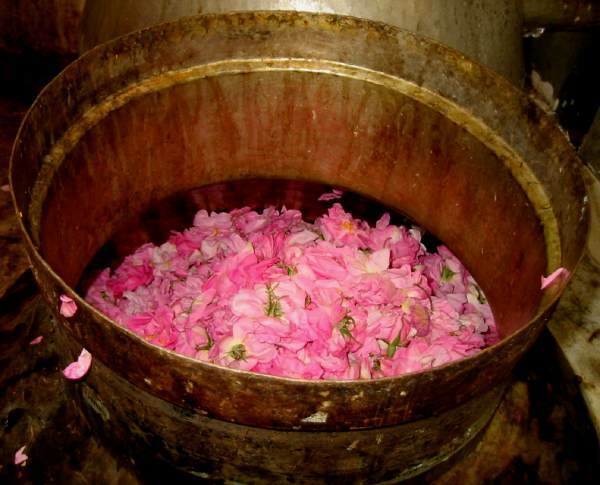 To extract these oils from rose, it requires a lengthy process that involves boiling rose petals with water steam in a copper pot. The oil is then extracted from water through distillation processes. However, we can't extract all the oils from distillation. Thus, some of the essential oils (or essential alcohols) that remain in water is what comprises rosewater! Rosewater is used heavily and is sometimes required in Persian and Middle Eastern cuisine (especially in sweets like nougat, gumdrops, raahat, and baklava) in order to create a distinct taste. It can also be used in baking and in flavoring cocktails or beverages. Furthermore, rosewater used to be very expensive in ancient Persia and Greece and was reserved for the royal family or the privileged upper class. Yet, with the technology that we have today, rosewater is easily acquired at a low price. The brand that I use is called Cortas (Lebanese). There are other brands, such as Al Wadi (also Lebanese) and Sadaf (Iranian). You can obtain a bottle for less than $4 at any Middle Eastern/Persian store in your area. The aroma of rose is very strong, and only a little is needed at a time. (A bottle of rosewater has lasted me a year!). Mix it in cocktails. The next time when you make a cranberry vodka for your date, simply add a little rosewater. I promise you that s/he will be intrigued, and ask you what is it that s/he is tasting, then you can have a whole day-long discussion about how you learned this trick from Midnight Rosewater ;). (Here's a recipe for a raspberry rose fizz. But really, you can add it to any cocktail). Add it to cake batter when baking. Try not to mix it with jasmine tea (because the floral taste can be too overwhelming). For the same concern as with jasmine tea, try not to add it to an already floral cocktail.